Where I live, the winter this year has had little rain and snow, but the temperature has definitely been freezing. And, the air is super dry. The cold and the dry air can wreak havoc on my and my family’s skin. And, to find effective skin care products that help protect and heal our skin is a challenge. And, not only do I prefer effective skin care, but I also prefer the more natural products so I don’t have to worry about adding harmful chemicals to our bodies. The following are some skin care products worth considering for the needs of my family and yours. 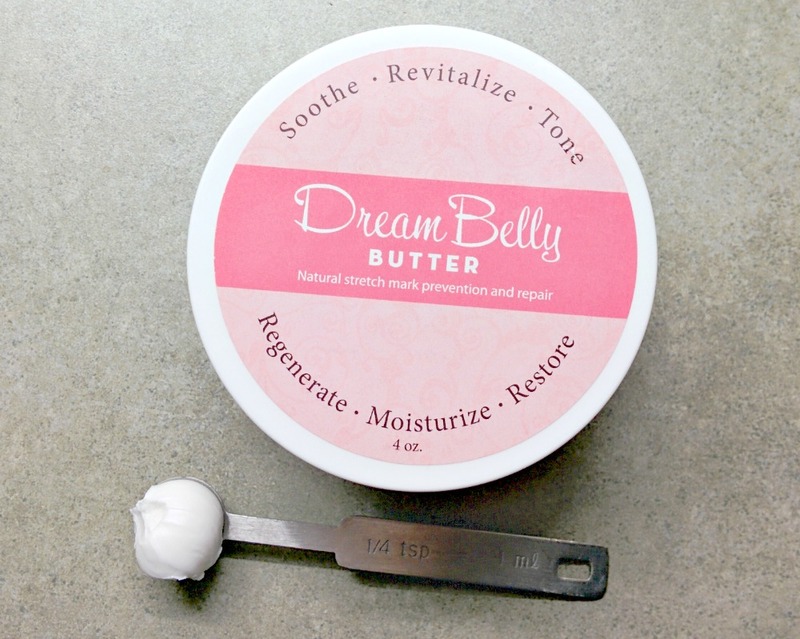 DreamBelly Butter is a wonderful product by Fairhaven. It’s a thick and creamy body butter that helps moisturize and protect your skin. The company markets it towards the pregnant woman, particularly for her growing belly as it stretches during pregnancy. I am not pregnant, but I used this product and loved putting it on my chapped, dry hands. It was so soothing and provided much needed moisture for my dry skin (without being greasy). The scent is mild and pleasant (the company describes it as the fragrance of milk and honey). I’ve never heard of perineal massage being done at home nor of products to help with it, such as this product (although I’ve seen doctors doing perineal massage to help the mother before delivery). However, the link here provides a lot of information about perineal massage that is quite interesting. I would, however, check with your doctor or health practitioner about utilizing this product and about performing perineal massage to make sure it’s approved for your situation. According to Fairhaven’s website, you can “use it (the gel) on perineal tissues as a calming balm, or apply it to gauze or toilet tissue to make a gentle gel wipe for cleansing, and as a moisturizer to keep pads or clothes from sticking to healing tissues.” In addition to being used as a perineal massage gel, BabyIt can also be used to moisturize your baby’s skin. 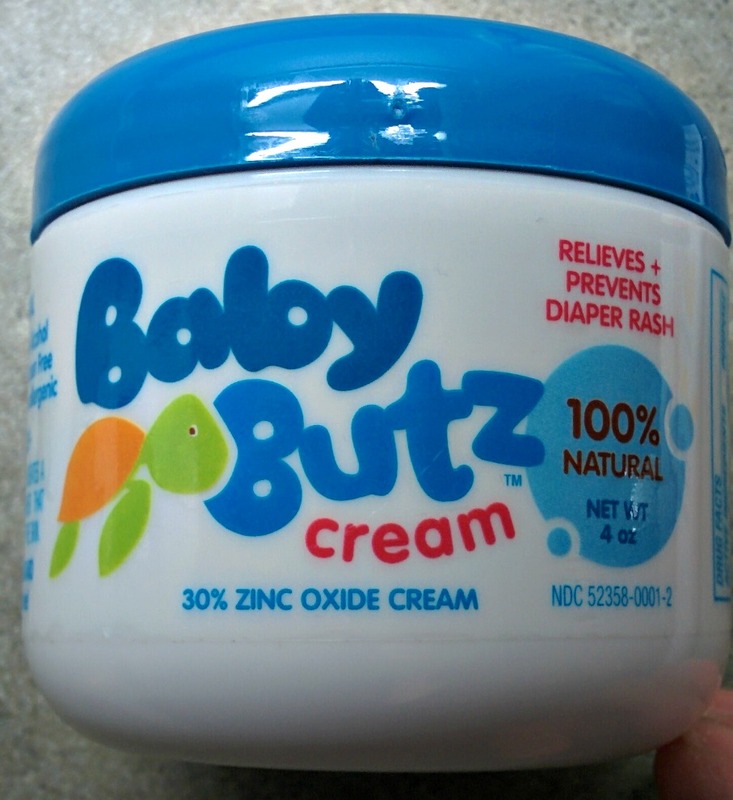 Another skin care product is from Olen Cosmetics and it’s their Baby Butz Cream. It’s a diaper rash treatment that helps with pain, provides protection and heals a diaper rash fast. According to their pamphlet, it can heal most rashes in 6 hours or less—that’s impressive and relieving for mom and baby! What I like is the minimal ingredients in the cream and they’re ingredients you recognize: zinc oxide (30%), white petrolatum, lanolin, and corn starch. According to the Olen company, Baby Butz is being utilized by neonatal hospital units and is recommended by pediatricians. It’s also 100% guaranteed. When your baby has a rash and is in pain, you want relief. This Baby Butz Cream is here for you and your baby! Available online: www.Amazon.com & Olen Cosmetics. 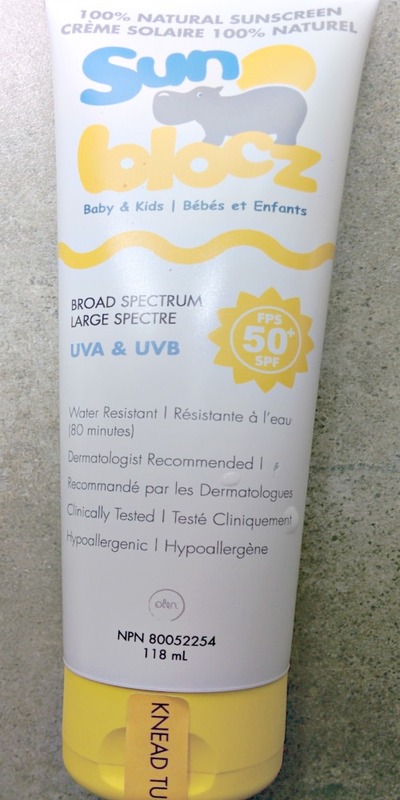 Please note that Health Canada and many doctors do not recommend putting sunscreen on babies under 6 months, so please check with your doctor before using on your child.